The most popular OCT technique involves using a swept source laser, i.e. a laser whose wavelength changes with time, to illuminate the sample as well as a reference surface. The interference pattern between the return signals from the two is then converted to an electronic waveform, digitized and then processed to create an image of the sample. 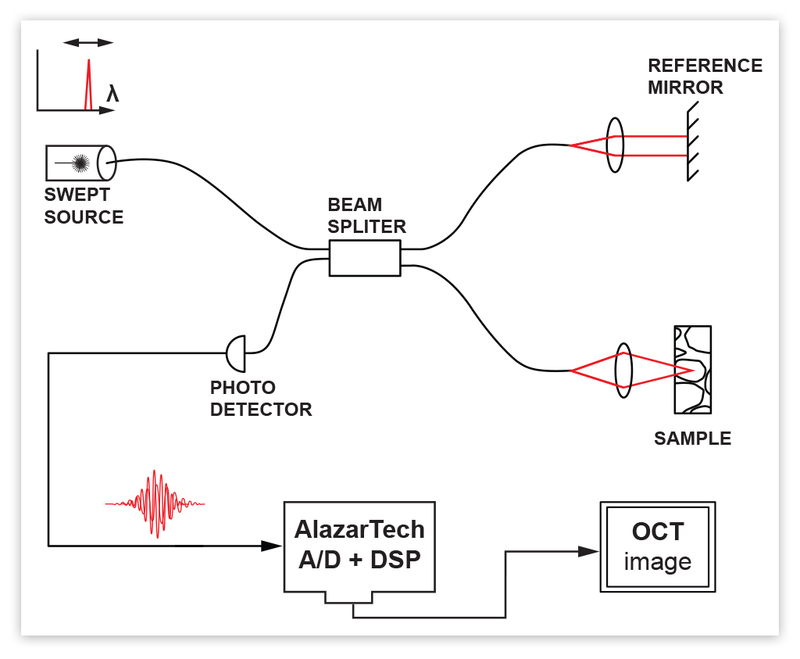 AlazarTech provides waveform digitizers (A/D boards) that allow OCT users to digitize the electronic waveform mentioned above and easily create live images in their custom imaging software. DUAL PORT MEMORY Traditional waveform digitizer boards do not allow A/D data to be streamed continuously to user programs. This means users are limited to taking snapshots of data, transfer them over the computer bus to user application and then take another snapshot. This results in loss of valuable data and also reduced frame rate. These digitizers are acceptable for use during the algorithm development stage, but not for use in machines that will be used in clinical environments. AlazarTech’s Dual Port Memory allows users to stream continuous data to user application, making sure that no data is lost and the maximum possible frame rate is provided to the clinician. The AlazarTech waveform digitizers used for OCT have been designed to be able to accept variable frequency external clocks. Almost all other digitizers available on the market cannot accept variable frequency external clock. OCT IGNORE BAD CLOCK While AlazarTech boards have been designed to be able to handle variable frequency external clock, they still need the k-clock to be remain certain specifications. Unfortunately, this is not always the case: some sources output very narrow glitches, whereas others turn off their clock completely during a part of the scan. 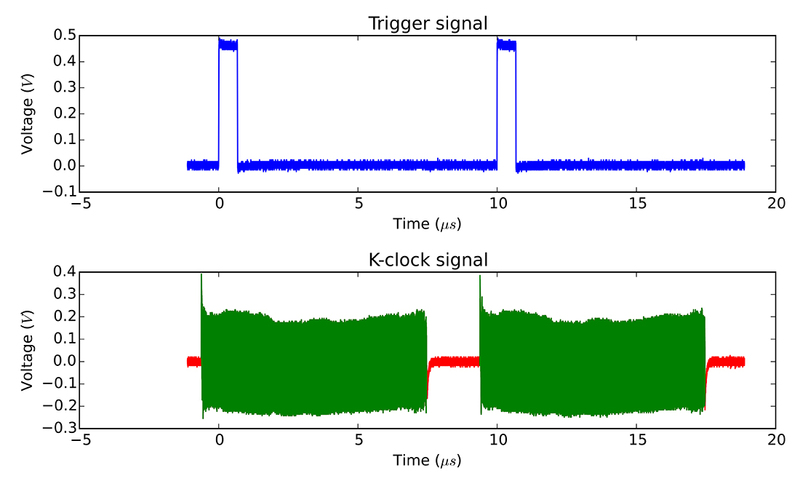 ON FPGA FFT While AlazarTech boards have been designed to be able to handle variable frequency external clock, they still need the k-clock to be remain certain specifications. Unfortunately, this is not always the case: some sources output very narrow glitches, whereas others turn off their clock completely during a part of the scan.